Read. Engage. Apply. 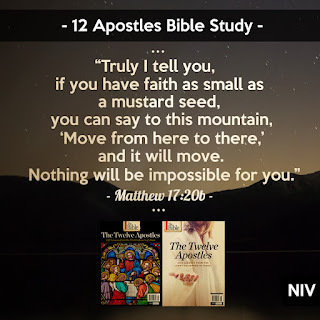 : What is Mustard Seed Faith? The mustard seed is a useful analogy for faith. The seed starts small and inconsequential, as did the disciples’ first attempts at ministry. Case in point: their inability to drive out a demon in Matthew 17. Faith, like a tiny seed, has the potential to emerge from humble beginnings into something magnificent. Jesus tended to his disciples’ growth, encouraging them to branch out. According to Mark 6, he sent them out in pairs to preach from village to village. Their instructions were clear. They were to take no money or food on their journey. Each of them was allowed only a walking stick, a pair of sandals, and a coat. They had no Bibles, no Scripture to take with them. They would preach what Jesus had taught them. They had no reservations, no itineraries, no contacts in the villages before them. They depended on those to whom they preached for food and shelter. The experience must have strengthened their faith. In time, like the mustard seed, they blossomed and produced fruit. The Bible makes clear that the same potential exists in any follower of Jesus today. God can take small, shaky faith, nurture it, grow it, and cause it to blossom into something amazing. 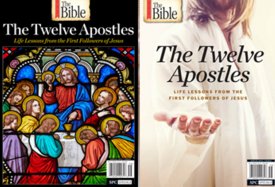 This blog post has been adapted from The Twelve Apostles, a special-edition magazine that is available in stores.